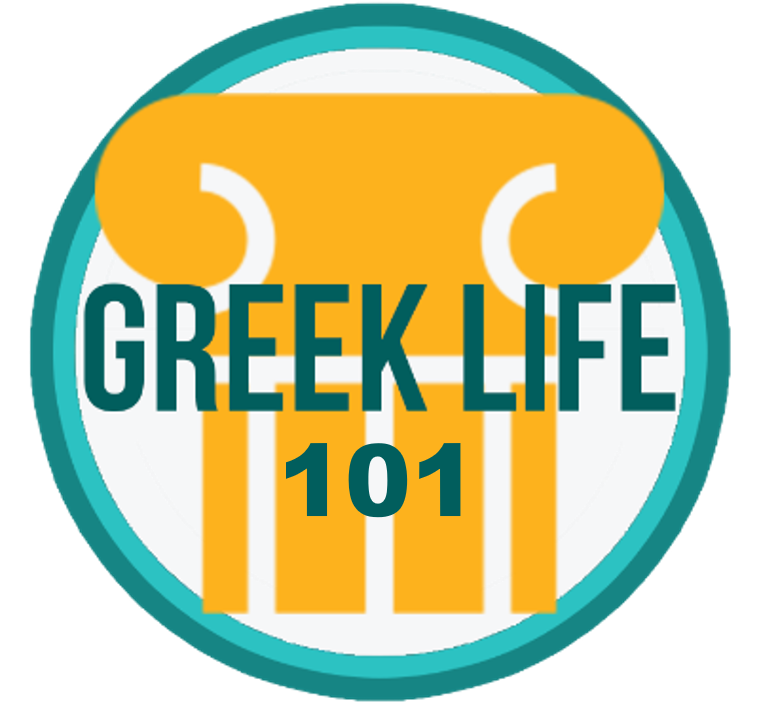 The ultimate guide on how to make the most of your Greek experience. So it's the first week of school and you're probably thinking this whole going Greek thing seems a little crazy and confusing. We feel you; we were all in your shoes at one point or another. Since Delta Upsilon is the only fraternity on campus committed to non-secrecy (that's right folks, we're not a cult...) we've thrown together a sort of "rush survival guide" to help you make sense of everything going on this fall. From the alphabet to the lingo all the way to outlining the whole recruitment process - we've got you covered. The Greek recruitment process, also known as ‘rush’, runs from September to Initiations day (varies by organization) and has a few important stages to it. We’re gonna stick to talking about fraternities though since the ladies do things a little differently. During the first week of school fraternities will have booths set up at the Week of Welcome Clubs Fair (in main quad) so you can talk one on one with a member of the chapter and learn more about their organization. Most also host daily barbeques at their chapter house where you can drop by for a burger, check out the place and meet all the guys. After the first week, fraternities will have a variety of recruitment events scheduled for the rest of month. It’s a smart idea to ask the chapter’s VP Recruitment for a copy of the schedule since these are great chances for you and the chapter to get to know one another. If you go out to a few events and the chapter decides that you’ll be a good fit, you’ll be extended a formal invitation to join in the form of a bid card. Bid cards are typically issued in a few batches throughout September so don’t worry if you don’t get one right away; that’s just your cue to start coming out to more events and get to know the guys better. If you are extended a bid card, you will have a few days to accept the offer. One thing to remember though is that, while you can rush as many fraternities as you like, you can only pledge one of them so make sure to take some time to be certain of your decision. Once you’ve made your choice and accept a bid, you become an associate member or ‘pledge’ of that fraternity and a member of its pledge class. Your pledging period is essentially just an extension of rush that will let you get to know your chapter and future brothers even better. Over the next two to four months (it varies by fraternity) your pledge class will learn all about the chapter’s history, rituals and structure in what’s known as the ‘pleducation’ process. You’ll also receive your pledge pin (a symbol of your pledge to the fraternity that is worn to chapter events) and be assigned an older member as your ‘big brother’ who will answer any questions and help you through your pledging period. As you get to know the system and meet more people you’ll also have the opportunity to start to get involved in the chapter. In doing all of this, you can really figure out if the fraternity is a right fit for you and be assured of your decision if you do decide to initiate. If you complete your period of associate membership and are certain of your intention to join, you will then be initiated into the chapter as an active member. By initiating you will become an official brother and inherit its membership privileges, such as voting power and the right to wear fraternity letters. Once you become a member, you’ll want to book off your Monday nights since that’s when all Greek organizations have their chapter meetings. These typically don’t go longer than an hour or two and cover upcoming events, involvement opportunities and week-to-week chapter business. Most fraternities even prepare a chapter dinner beforehand where everyone can eat together and catch-up once a week. Meetings are traditionally the only mandatory time commitment so the rest is really what you make of it. The thing to remember though is that you get out of a fraternity what you put into it, so make the most of the experience by getting involved, taking an exec position or even moving into the house (it’s usually cheap rent and a really awesome time). This is the Greek alphabet. In order to be able to tell the different fraternities apart and avoid awkwardly mispronouncing them while talking to cute girls at exchanges, it’s best if you try to memorize it. It's no coincidence that so many business leaders, politicians and celebrities are all members of fraternities. What greats like Francis Winspear, Claire Drake and Peter Lougheed (just to use a few of our local alumni as examples) all figured out is that there is no better way to round out your education and build yourself into a better man than by going Greek. Plus it's a hell of a lot of fun too. Here's why you should try to look past the stereotypes and give it some thought. First off, going Greek doesn't mean you'll fail out of school. Fraternities actually highly prioritize academics, requiring a minimum GPA to maintain your membership and rewarding members who excel in their classes (after all, that's the reason we're all here isn't it?). Study hours/exchanges, textbook libraries and having access to a chapter of guys who have collectively taken nearly every academic course on campus are just a few tools that give fraternity men an academic advantage. At the same time, we recognize that an extremely important part of your college experience will take place outside the classroom. Fraternities provide many opportunities to meet many like-minded students on campus at different events and multiple volunteer opportunities. By going Greek you’ll be gaining access to a community of over 600 driven and talented students like yourself. The connections you make in the Greek community can help catapult you to success by offering plenty of philanthropy opportunities, leadership experience, subsidized trips to international confrences as well as networking opportunities with influential alumni. Perhaps most importantly though, it’s kind of like having a bunch of older brothers around to give you advice. The mentorship provided from both the older guys and alumni alike can really help you make the most out of your time here and will ultimately help you survive your four or more years here. The best part is that while we’re doing all of this to build up ourselves and our communities, we’re having a total blast! The social aspect of Greek life is quite possibly its sexiest. This is where you'll meet all kinds of different people and make friendships that will last a lifetime. This is where you’ll meet the best man at your wedding. This will also be where you make all of the stories he tells in his speech. Having a place to call you own on campus is also a huge asset since you can use it for everything from studying to just hanging out with the guys. Plus the Greek social scene never fails to come through if you ever find yourself needing a study break. We're all here for different reasons but no matter your purpose, fraternity life can help you build yourself into a better man and achieve whatever it is you came here to do. Whether you are striving for academic success, personal development, community involvement, networking, or lifelong friendships, the first step in your University career should involve a joining a fraternity. If you want to make the most of your university experience while building yourself into a better man, click here to learn why DU is the place for you!